Blistering hot sewer water or McDonald’s coffee? Tough to tell the difference. 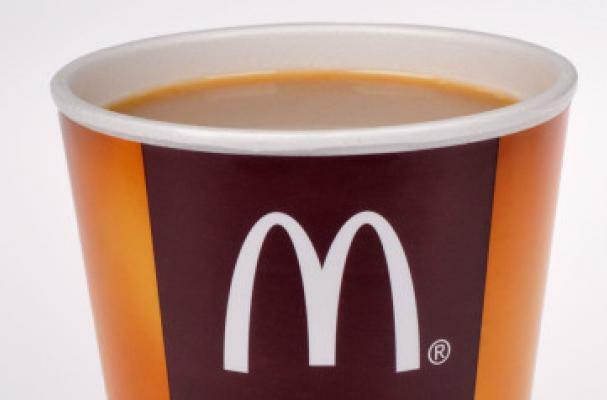 This morning, I was in a rush and bought coffee from a McDonald’s that tasted like blistering hot sewer water. With too much cream and not enough Splenda. Not wanting to throw away the buck I spent on it, I attempted a fix. Added a teaspoon of Taster’s Choice French Roast instant coffee. Added a packet of Splenda. That’s it. That’s the recipe. McDonald’s coffee plus too much McDonald’s cream plus not enough McDonald’s Splenda plus Taster’s Choice French Roast plus one packet of Splenda. Also in the “that’s it” category: purchasing coffee from McDonald’s. Most of the time I’m in a rush I won’t have access to Taster’s Choice.